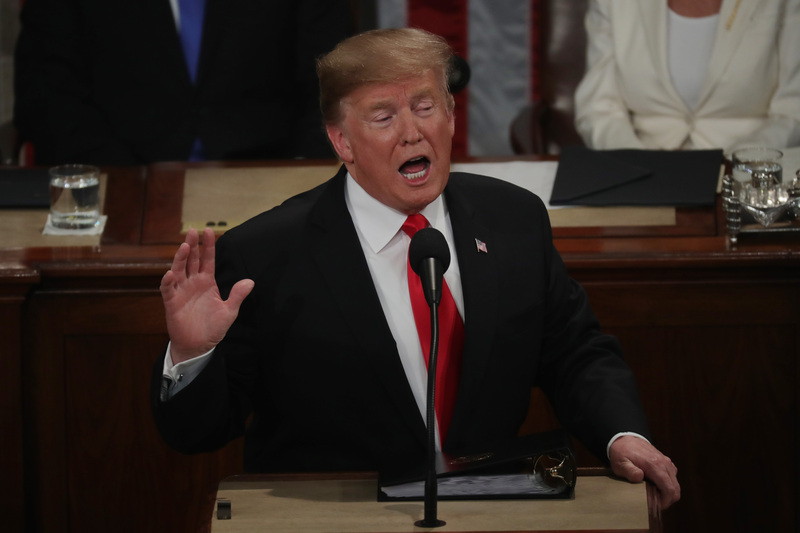 President Donald Trump delivered his second State of the Union address before the combined branches of the U.S. government Tuesday evening with a theme of “choosing greatness” in a nearly 90-minute address. Trump opened his speech with a call to bipartisan unity, saying, “The agenda I will lay out this evening is not a Republican agenda or a Democrat agenda. It is the agenda of the American people.” He appealed to Congress to act on issues of immigration, prescription drug pricing, trade and infrastructure. 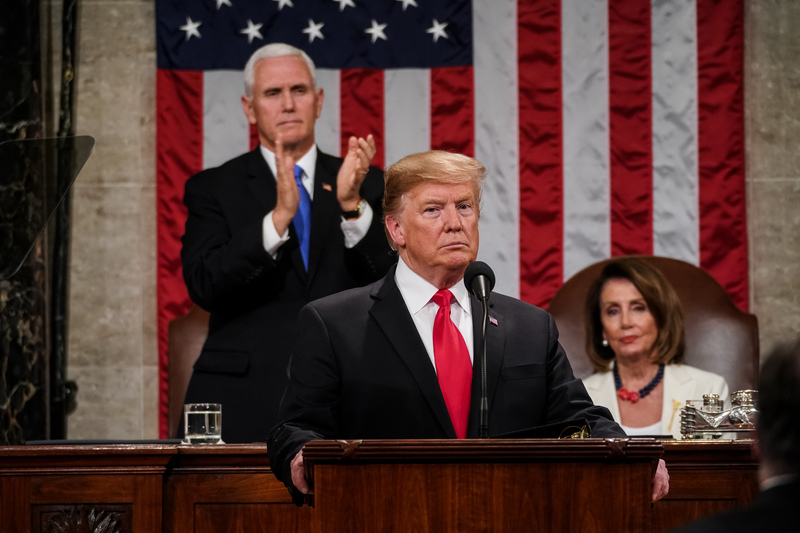 Trump spent much of the early parts of the speech reveling in the accomplishments of his administration, noting economic progress, the passage of tax cut legislation, criminal justice reform, and the cutting of regulations throughout the U.S. government. The president did not shy away from partisan calls for his immigration agenda and the need for a proposed wall along the U.S. southern border. “No issue better illustrates the divide between America’s working class and America’s political class than illegal immigration. Wealthy politicians and donors push for open borders while living their lives behind walls and gates and guards,” he declared. The president ended his speech with an appeal to history, memorializing soldiers who fought in World War II, as well as Holocaust survivors.